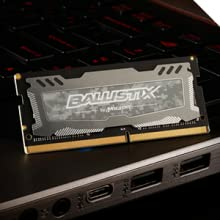 Ballistix Sport LT DDR4 SODIMMs accelerate your gaming laptop or small form factor system by packing more aggression into every memory slot. 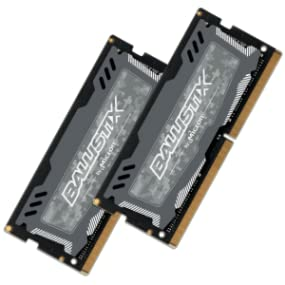 Achieve faster speeds and run demanding games and applications with ease. Multitask at will with increased bandwidth. 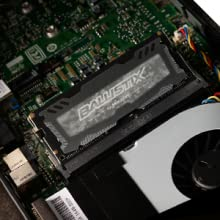 And strike first with better latencies, smoother integrated graphics, and reduced load times. 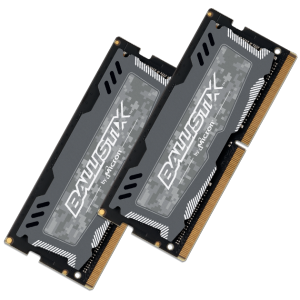 Feed your processor with the resources it needs and devour the competition with Ballistix gaming memory. 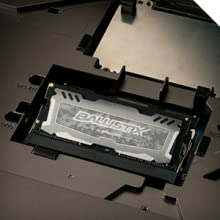 Installing is easy: just plug in the modules and get ready to win with little to no BIOS configuration. 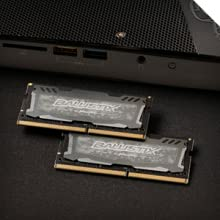 Using cutting-edge technology and Intel XMP 2.0 profiles, we designed Ballistix Sport LT SODIMMs with the sole intent of creating affordable memory that’s ready for action.